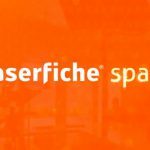 Laserfiche—a leading global provider of enterprise content management (ECM) software—announced today that David Sison, Senior Vice President and Chief Information Officer/CISO for Mitsui Sumitomo Marine Management (U.S.A.) Inc. (“Mitsui Sumitomo”), is the recipient of the 2018 Nien-Ling Wacker Visionary Award. The award recognizes Mr. Sison’s keen foresight and innovative approach to leveraging technology to drive organization-wide efficiency. Mitsui Sumitomo is part of the MS&AD Insurance Group, among the world’s largest property and casualty insurers, headquartered in Tokyo. The U.S. subsidiary plays a pivotal role in its parent company’s global operations which span more than 40 countries and regions. Sison successfully led an enterprise-wide Laserfiche deployment at Mitsui Sumitomo that has enabled the organization to automate key business processes including insurance claims processing, policy underwriting, employee onboarding and accounts payable. With decades of experience providing business and technology advisory services to leading organizations, Sison has led successful large-scale technology implementations that deliver competitive advantages, enable business growth and enhance the customer experience. 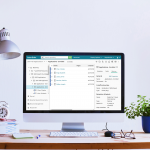 Since leading the Laserfiche deployment at Mitsui Sumitomo in 2015, Sison has continued to champion the expanded use of the software’s workflow and process automation tools to transform mission-critical operations. 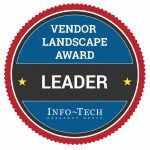 Laserfiche introduced the Nien-Ling Wacker Visionary Award in 2016 to honor executives who have the foresight and vision to drive transformation throughout their organizations by leveraging Laserfiche. The awards ceremony took place during the Laserfiche Empower Conference 2019 in Long Beach, California.